Today I am sharing some of the products from the Atoderm product range from Bioderma. These products are designed for very dry to atopic sensitive skin (yeayy!) 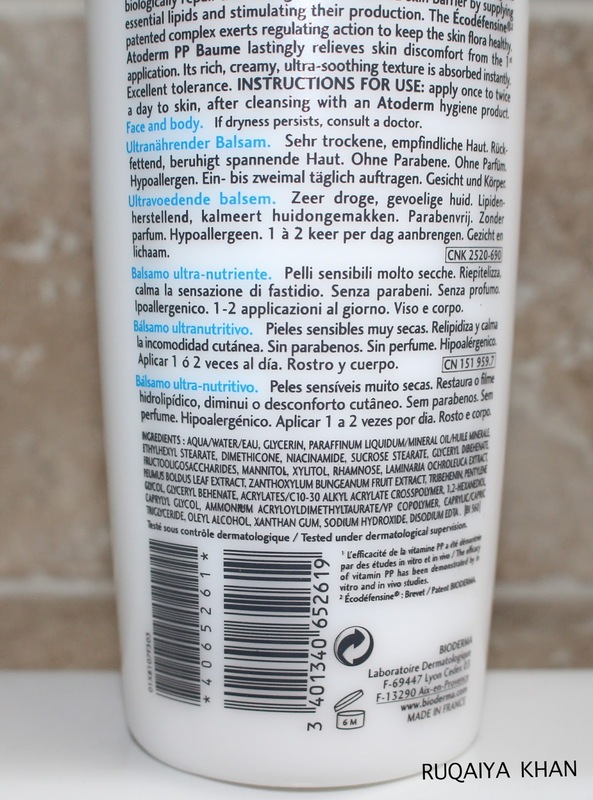 and are hypoallergenic and paraben free. I am so impressed by each of these that I could not resist sharing them all with you. I have normal-dry skin which gets sensitive and dry during the colder months. The dry weather in Calgary just adds to that and I often suffer from eczema. I was super cautious this year so thankfully the back of my neck and shoulders are free from eczema this time. 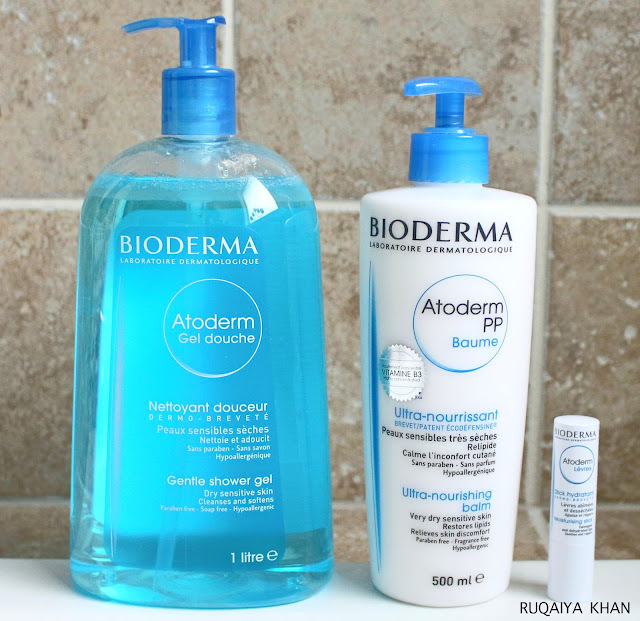 These Bioderma Atoderm products are so gentle yet they soothe and protect skin, without the harsh chemicals. 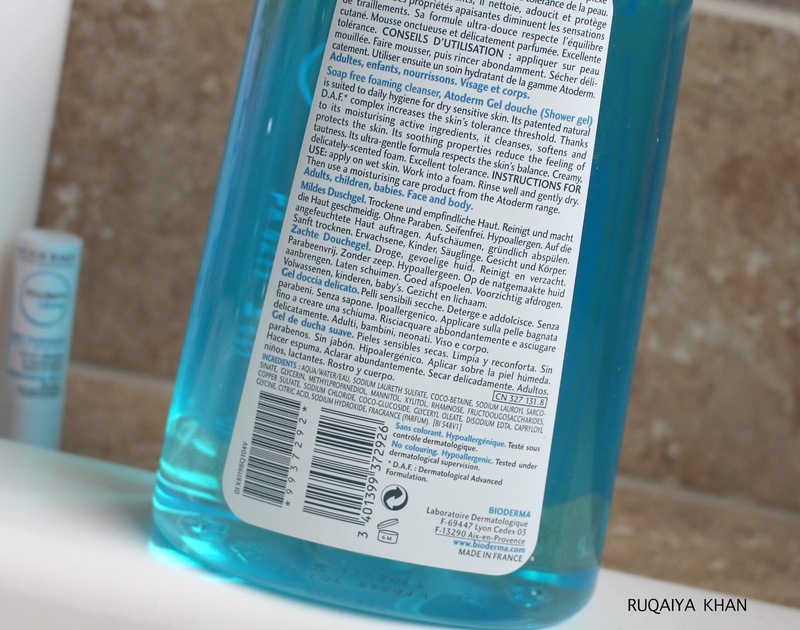 This gentle soap-free shower gel foams up nicely in the shower and cleanses pretty well. I love the gel formula and I usually go for 3 pumps for a nice creamy lather. It rinses quickly and my skin feels very clean and soft, just as expected. It has a mild, fresh scent that feels good. One of my favorite things is that it does not overdry my skin and I do not have the feeling of tautness which I totally enjoy. 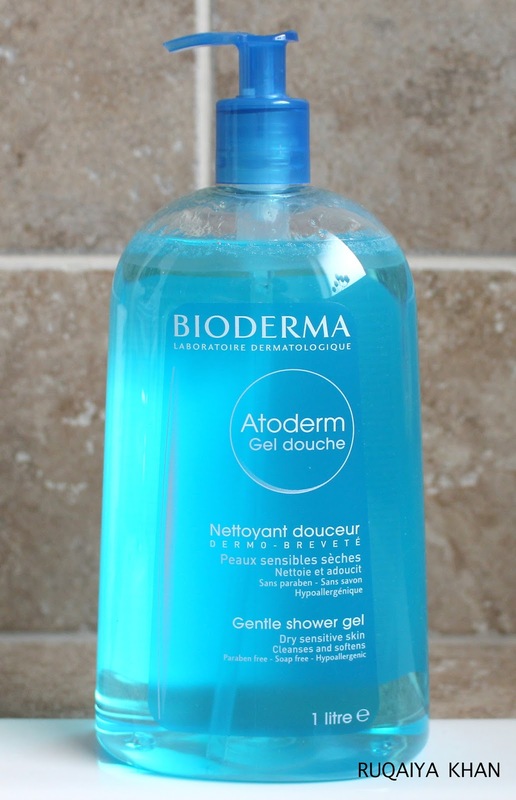 I am so happy to have found a gentle shower gel that soothes and protects skin and is good for daily use. It's even good for children and babies to use. Its that gentle! Get it from any drugstore for $19.95 for this ginormous 1 litre bottle. More info. 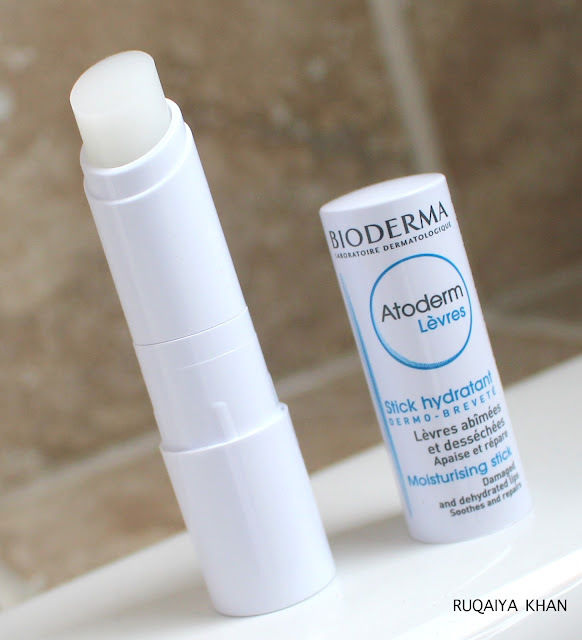 This ultra nourishing balm with high concentration of vitamin B is quick absorbing and quickly moisturizes skin. I really like this formula despite being a bit oily/sticky in texture because it truly soothes irritation. My legs get very itchy by the end of the day and ever since I started using this I do not have that issue. It does not have any fragrance which is a huge plus because fragrances can cause sensitivities. 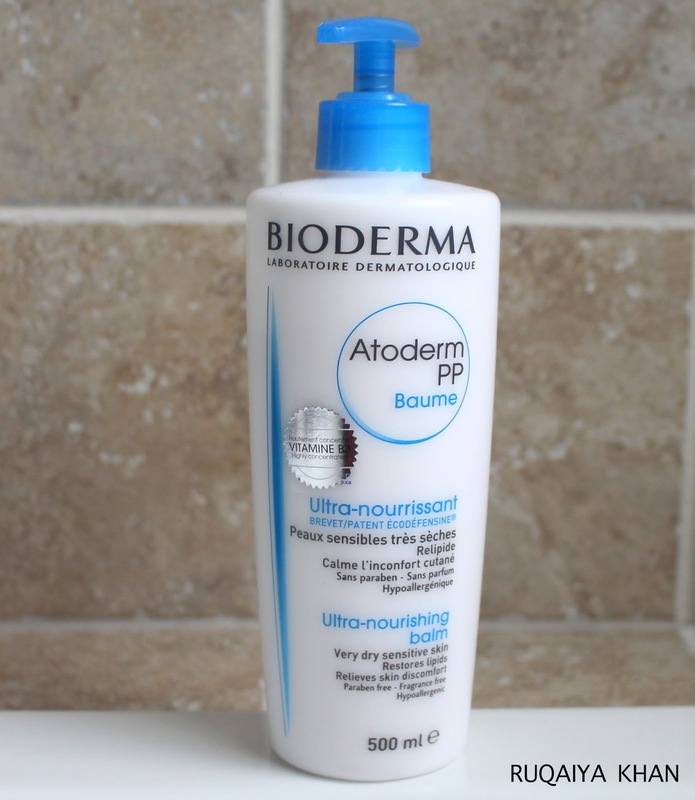 I have the Atoderm Cream as well, which is similar in formulation but I liked the Atoderm PP more because of the additional benefits of Vitamin B3 that repairs and strengthen skin's barrier. Get it for $29.95 for any drugstore. I am very particular about lip products because my lips are always chapped. I often skip on water, so I know why I have skin related issues. 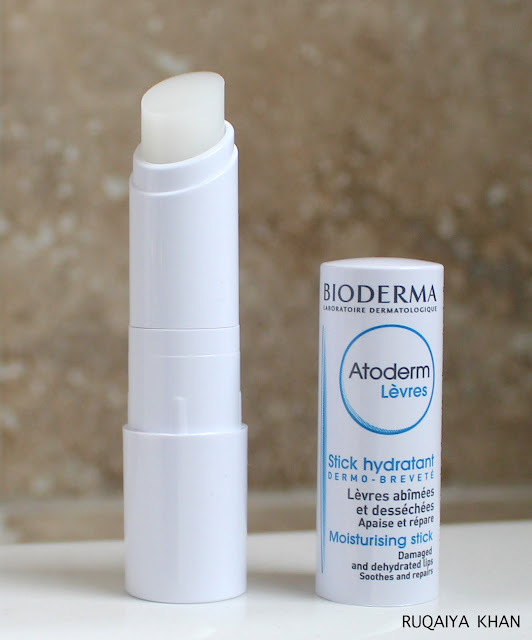 Another thing is that I can't put on a lip balm during day, because I hate to see it all over the edges of my cup/glass, so I apply it at night only. And I do that regularly; it's a part of my nighttime regimen. It's only for $6.95 from any drugstore and the duo is for $9.95. Overall, I am extremely impressed by the effectiveness and quality of each of these products. I particularly enjoy the Atoderm Lip Moisturising Stick and the Atoderm Shower Gel. 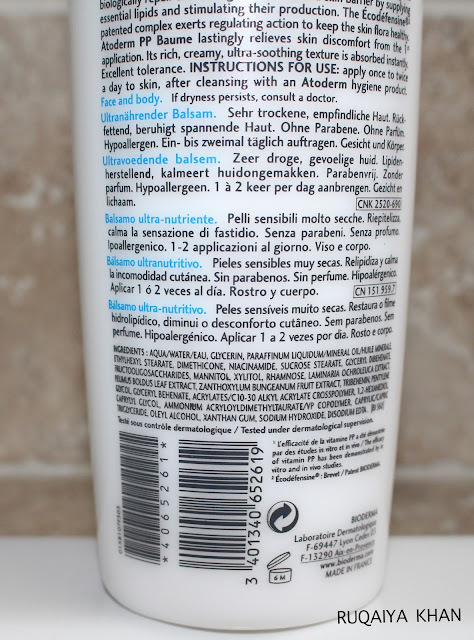 These products are available at drugstores and at an affordable price point. The quality is amazing as they truly live up to the claims. 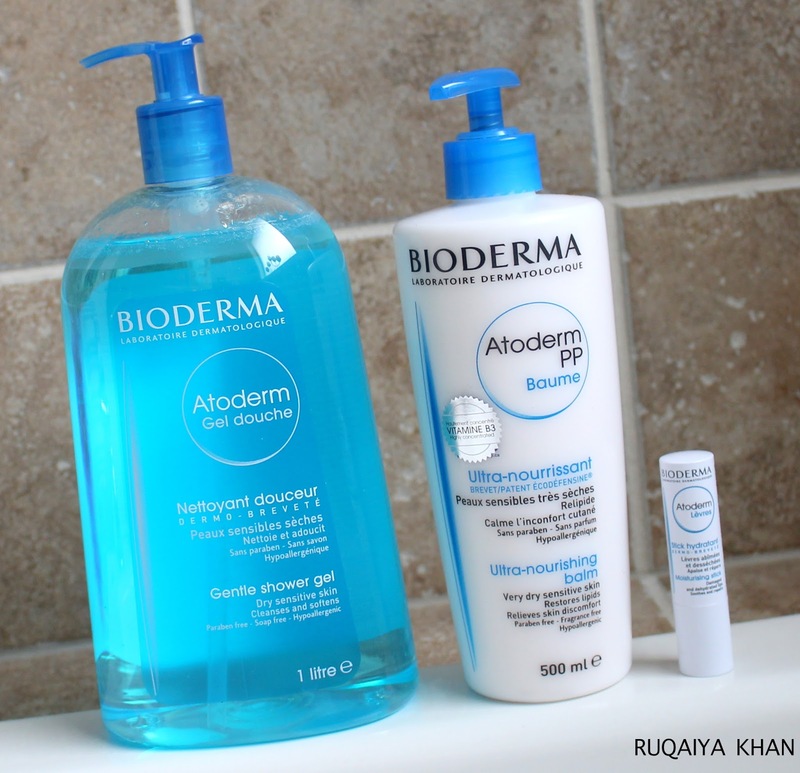 I really like every Bioderma product I try because it nourishes my dry skin and repairs it, without causing any sensitivities.